Take cheap cuts of meat and turn them into gourmet sausages, mince and meatballs for drool-worthy meals the whole family will love. Save money at the deli by making your own! When you use minced meat in recipes, you want to know exactly where that meat has come from, that there’s no added nasties, and that you aren’t paying a fortune for it. 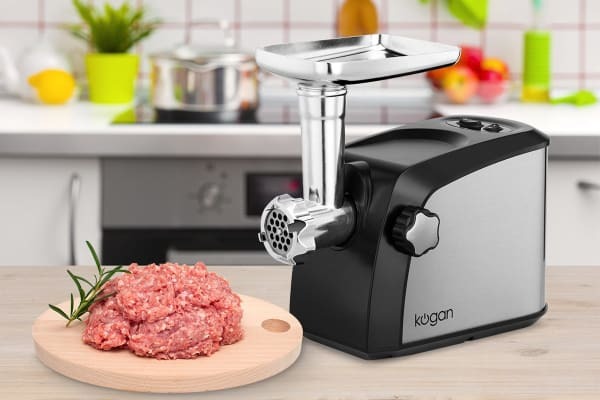 The Kogan 1800W Meat Grinder lets you take your favourite cuts of meat and turn them into fine, medium or coarse mince with the 3 interchangeable grinding blades. 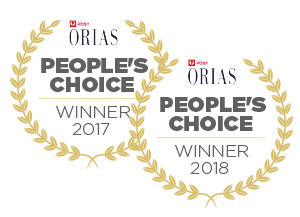 From Shanghai dumplings to Lebanese kibbe and everything inbetween, you can grind your meat to exactly the right consistency for every recipe. You can even make strings and strings of beautiful bangers with the included sausage tube. 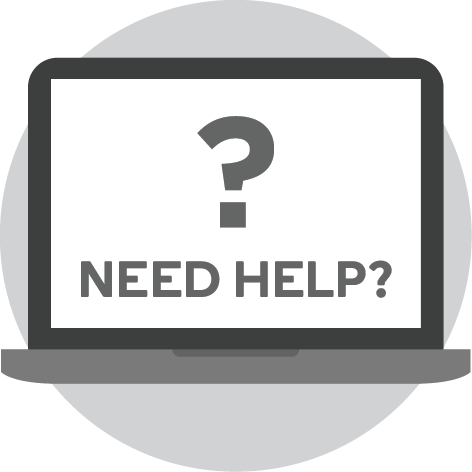 The powerful 1800W motor gets the job done quickly and easily, so you can do large batches at a time and save yourself heaps at the supermarket! 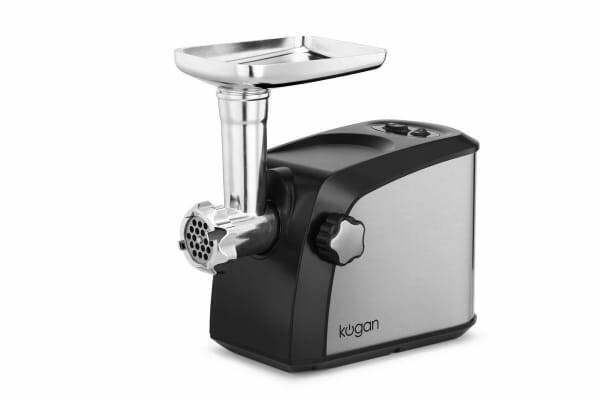 Sturdy and durable with food grade stainless steel and die-cast attachments, the Kogan 1800W Meat Grinder blitzes through the toughest task even after extended use. 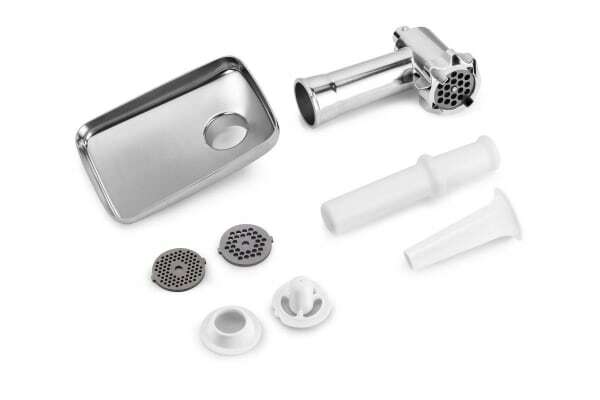 All attachments are removable for easy cleaning, and the non-slip rubber feet ensure maximum safety. 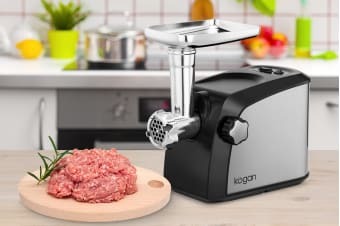 The meat grinder is exactly what I wanted so easy to use and clean so, in the next week I will be ordering another one for my daughter.